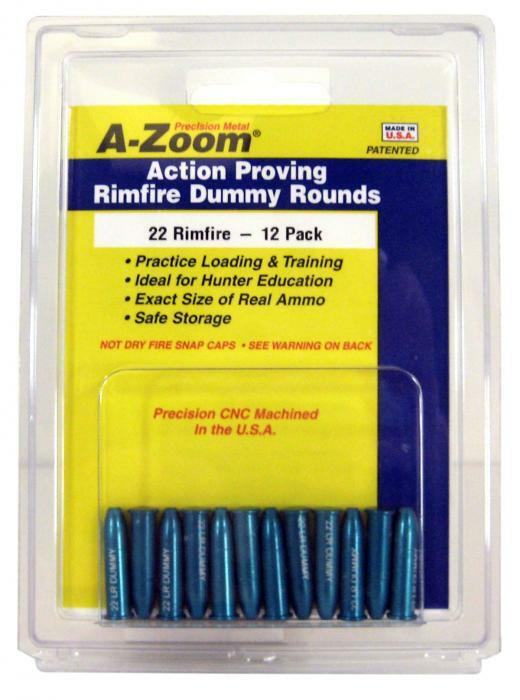 A-Zoom metal snap-caps are precision CNC machined from solid aluminum to exact size, then hard anodized. This hard anodized surface provides for ultra-smooth functioning and long cycling life. The highly durable dry fire "Dead Cap" can take over three thousand dry fires while protecting the firing pin. Lasts over 30 times longer than conventional plastic snap-caps.